Originally published on March 18, 2019. 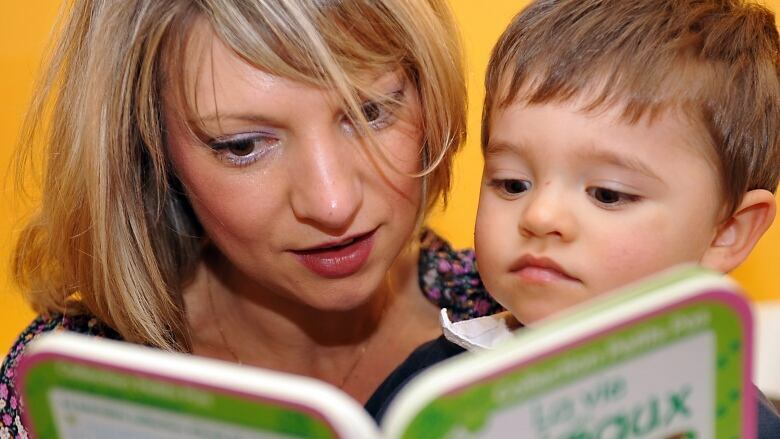 Finding an hour a day to read aloud to your children will have benefits for the whole family, according to an author and critic who has been doing it for decades. 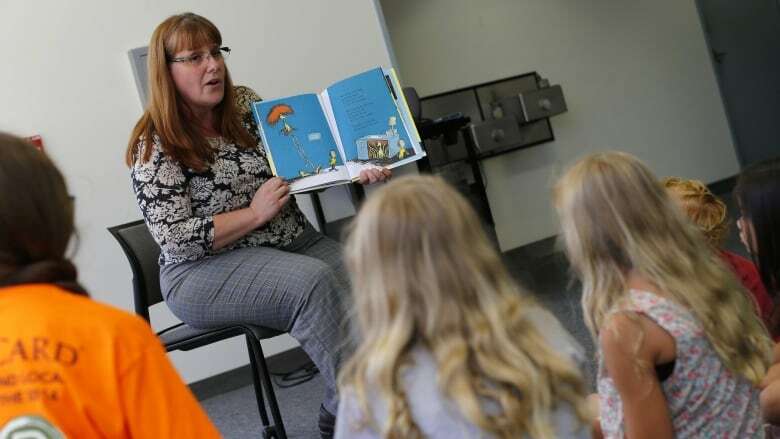 "This tradition of reading aloud, it connects parents to children, and children to their children that they have, in this wonderful way with language and warmth," said Meghan Cox Gurdon, the children's book critic for the Wall Street Journal. "It's just such a lovely kind of braid of time, and books, and people, and generations," she told The Current's Anna Maria Tremonti. 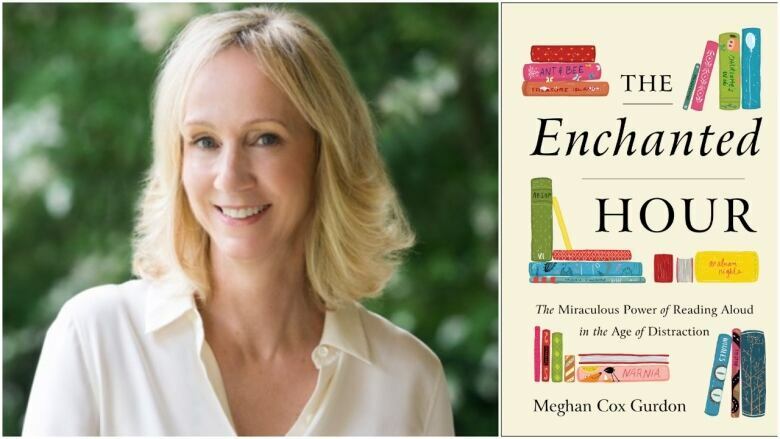 She's written about finding time to read to your children in her new book The Enchanted Hour: The Miraculous Power of Reading Aloud in the Age of Distraction. Cox Gurdon remembers reading to her children one evening years ago and thinking, "This is it; this is the stuff." "I was reading the book, I had two toddlers on my lap … my son was stretched out on the back of the sofa, behind my shoulders, kind of like a jaguar." "I had another daughter, my eldest daughter, tucked in next to me, and on the floor, my husband was lying there in his suit, having just come home from work to join the story. "And I thought: 'I am really doing something real here.'" Cox Gurdon doesn't want to criticize any parent struggling to add daily reading to their already busy schedule. But she argues that "the busier you are as a parent ... the more valuable reading aloud is." In researching the book, she was thrilled to discover that there's "a physiological reward in sitting down together with a book." "Stress hormones are decreased and bonding hormones increase," she explained. A 2018 review of international studies found that children whose parents read to them have better social and emotional skills and behaviour, as well as higher literacy skills. Another study last year found that toddlers whose parents listen and chat with them are more likely to have better language skills and higher IQs a decade later. She described reading aloud as a way of fomenting conversation with your child, and having natural exchanges while being physically close together. "It's also a way of bathing your children in language, which is so helpful to them as they learn to navigate the world," she said. Frazzled parents with an already packed schedule may find it daunting to carve out an hour every day to read aloud to their kids. "The best thing to do is don't feel like you have to be heroic," said Cox Gurdon. "Start today, start small, start where you are." She suggested finding a time where you're already together with your kids, like after dinner or at bedtime, and to read whatever is on hand: a poem, a newspaper, or a school reading assignment. "Just give it five minutes, and then try and do the same thing the next day, at the same time," she said. "Pretty quickly what starts out as a 'Oh, we should remember to do that,' kind of thing, turns into a 'Oh, we get to do this,' kind of thing." Reading time doesn't have to end as your child gets older, either. According to Cox Gurdon, it can be a useful way to find common ground with your teenage children. She told Tremonti about a mother and her 12-year-old daughter, who were "very much at loggerheads, constantly fighting, mother-daughter stuff." They had stopped reading together when the girl was eight, but decided to start again years later. "It was a revelation to the two of them," she said. "They suddenly had this area in which they could have an encounter that was peaceful, and mutually rewarding and rather lovely." Teenagers don't necessarily want to be tucked up close to their parents, who in turn can struggle to make conversation that appeals to teenage interests, she said. But a book can be "a bridge … a place where the two of you can connect," she said. Cox Gurdon still reads to her youngest daughter, who is 13. While she fears the ritual may be coming to an end, her older children still sometimes join in. "I've noticed when I'm reading to the younger one, sometimes the older ones ... sort of slip into the room, and just be there for a while, and nostalgically revisit the experience." Written by Padraig Moran. Produced by Karin Marley and Mary-Catherine McIntosh.